William Francis “Bo” Ryan, Jr. is a now retired basketball coach, born in Chester, Pennsylvania USA on the 20th of December, 1947. He is probably best known for being the head coach at the University of Wisconsin-Madison from 2001 to 2015. A successful and long-time basketball coach, how rich is Bo Ryan? Sources indicate his net worth to be over $8 million. At the height of his career, he commanded a salary of $2.1 million, during a career active from the late 1960s. Ryan got his sporting start on the court. He was taught by his father, Butch Ryan, who was well known in the area for coaching under-privileged youths. He maintained a position as a three-sport athlete in high school, playing point guard in basketball, in addition to playing on the baseball team, and as quarterback on the football team; he was also class president. He continued to play basketball after his move into higher education, at Wilkes College, Pennsylvania. After graduating with a degree in Business Administration in 1969, Ryan began his coaching career in 1972, with a position at Brookhaven Junior High School. One year later, he moved to the Dominican College of Racine, his first taste of collegiate coaching, and then to Sun Valley High School in 1974. His coaching successes, including being named Conference Coach of the Year in 1976, led him to the University of Wisconsin-Madison in the same year, to work as assistant head coach under Bill Cofield and Steve Yoder. His net worth was established. In 1984, Ryan obtained the head coaching position at the University of Wisconsin-Platteville. In his time there, the Platteville Pioneers played in four national championships. During his 15-year tenure, Ryan is generally regarded to have been one of the nation’s best coaches, winning eight WIAC titles, never winning fewer than twenty three games a season, and compiling a .820 winning percentage. He then coached the Milwaukee Panthers from 1999 for two seasons – attendance at home games rose by one hundred and sixty one percent during this time. In 2001, Ryan became the thirteenth head coach of the Wisconsin Badgers at the University of Wisconsin-Madison, a position which he would keep for the remainder of his career. He experienced immediate success, and exceeded expectations by taking the team to the NCAA Tournament in his first season, and going on to enjoy his one hundredth victory as Wisconsin head coach in December of 2005. In 2007, he was awarded the Clair Bee Coach of the Year Award. Ryan ultimately reached over 700 wins, and close to 2000 NCAA Big Ten victories – his team was at or near the top five in the NCAA in virtually every season from 2002, an almost unprecedented achievement for a medium-sized college. His achievement s certainly helped sustain his net worth over the period. Ryan announced his retirement with immediate effect after a winning game on the 15th of December 2015. In honour of his work and fifteen year tenure, the University of Wisconsin-Platteville dedicated the playing surface of the Williams Fieldhouse arena to him, officially dubbing it the “Bo Ryan Court” in 2007. In 2004, he was presented with the NABC Guardians of the Game Award for Service, which celebrates coaches who distinguish themselves as positive influences on student athletes’ lives, and in 2013, he was presented with the Coaches vs. Cancer Champion Award. 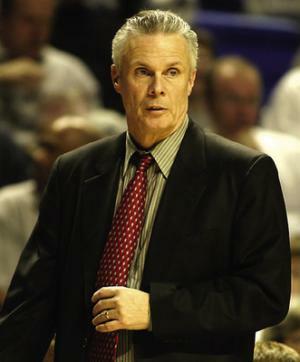 He has written three books: “Bo Ryan: Another Hill to Climb”, “The Swing Offense”, and “Passing and Catching: The Lost Art”, which have added somewhat to Bo’s net worth. Ryan has been married to Kelly since 1974, and they have three daughters, two sons, and six grandchildren. He is also known for his philanthropy around Wisconsin University campuses.